Please see below for eligibility guidelines to adopt a Waiting Child from China. AGE: Adoptive families should both be at least 30 years old before being matched with a child. For married couples, the upper age limit will be flexible, however, there shouldn’t be more than 50 years between the youngest parent and the child being adopted. For example, if the youngest parent is 55, families may be eligible to adopt a child ages 5 and over. For single applicants, the age difference should be no more than 45 years between parent and child. Applicants may start the process at 29.5 and submit their dossier to China on their 30th birthday. FAMILY: Heterosexual couples, single women and single men may apply. Married couples should be married for minimum of 2 years. If there is a history of divorce, applicants should be married at least 5 years. No more than 2 divorces per applicant. INCOME: Minimum household income of $10,000 per household member (including adopted child) or a minimum of $30,000 base income for single applicant and child to be adopted, plus $10,000 per additional household member. Net worth must be a minimum of $80,000 (married) or $100,000 (single). Income from child support, housing allowance, disability, etc., is not included in income calculation. Flexibility with financial requirements can be evaluated on a case- by-case basis. HEALTH: Applicants must be free of any condition that would affect their lifespan or the ability to parent. BMI should be less than 40. CRIMINAL BACKGROUND: China will evaluate criminal histories on a case by case basis, however, they will not accept applicants with a felony conviction or history of drug abuse. PROCESS: A China adoption can take anywhere from 9 months to 3 years depending on the age, gender and special needs you are open to, and the agency you choose. Some agencies are able to match families faster than others. TRAVEL: One trip of approximately 2 weeks. The first week is spent in your child’s province and the second week is spent in Guangzhou, Guangdong Province where the US Embassy is located. You can leave China after your Embassy appointment and obtaining your child’s US visa. He or she will become a US citizen upon entering the US. Don’t quite meet the guidelines? Agencies may be able to obtain waivers from China for most of the requirements if applicants aren’t too far off. Please email WaitingChildInfo@gmail.com with questions about the process. If you would like to review a specific child’s file please submit an inquiry within that child’s individual posting. 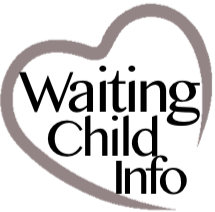 Please click HERE to view waiting child profiles.